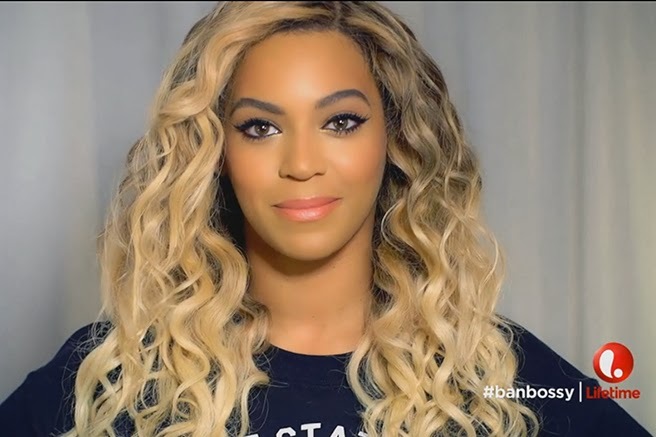 Beyoncé, along with a group of very powerful women that include Condoleezza Rice, joined forces on a campaign to put an end to the word 'Bossy'. The Ban Bossy campaign encourages girls to take on leadership roles. The campaign was created by the Girl Scouts of USA and LeanIn.Org, a nonprofit founded by Sheryl Sandberg, Facebook's chief operating officer and author of the book Lean In.